Tony Butala, Donovan Tea, and Bobby Poynton are The Lettermen. Their signature letter sweaters may only make a brief appearance at each Lettermen performance, but the undeniable Lettermen harmony is non-stop. From their first hit in 1961, “The Way You Look Tonight”, through current hits of today, the sound is patently Lettermen. 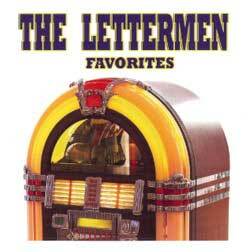 The Lettermen have 18 Gold Albums worldwide and over $25 million in record sales. All of that in addition to five Grammy nominations, an Andy Award, and a Cleo Award attest to a popularity that has endured through several generations. With over 10,000 sold out shows to their credit, and hundreds of live shows per year since 1961, The Lettermen are constantly sending valentines to their audiences with each note of every love song. Versatility of group members and personal tastes let each display a variety of musical styles – adapting through years to include whatever the current trend may be. International audiences attest to the universal appeal of The Lettermen. Successful tours abroad have included visits to Japan, the Philippines, Thailand, Singapore, Hong Kong, France, Mexico, and Saudi Arabia. The music of these true entertainers transcends all language barriers as it romances the soul and warms the hearts of millions. 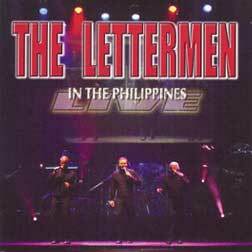 Through the 70's, 80's, 90's and now into the 2000's, The Lettermen continue to release albums and perform live all over the world. Whether singing acapella or while backed by an entire symphony orchestra, the Lettermen theme still remains – the love song. Lending that famous harmony to every arrangement, they have proven that love ballads have an appeal that knows no boundaries and will continue to stand the test of time for many years to come. These men never forget those who have served on our behalf. They include them in every performance they have. It might be a better world if all performers did the same. Thank You guys for your talents. In Branson with my husband (he introduced himself to Tony after the show) and saw you live – first time in my 70 yrs on the planet. Wanted to thank you for saving my life in 1967 – the specific line “And I thank God I’m alive,” – was first thing I heard coming out of major surgery – was not responding well to efforts to bring me out of recovery till someone turned on your tunes – so seeing you live makes me believe I can now live to 100+! You are so professional yet personal & I love how you interact with your audience – thank you for your contribution to helping the species evolve to the next highest level – we’ll be back to see you again. We had the distinct pleasure of welcoming The Lettermen and crew into our house, the Uptown Theater, Grand Prairie yesterday. What an absolute pleasure! Extraordinary talent, showmen and human beings…perfect from the moment they hit Texas dirt…they will be coming back next year…keep making memories boys. What a great afternoon. Two Hours+ of music topped with “Proud to be an American” followed by “I believe.” All this after favorite from days gone by. And all without any mud-slinging nor accusations of lies and corruptions. Thank you, gentlemen. Once again, The Lettermen gave everyone a wonderful evening this past Thursday at The Andy Williams Theater in Branson! We were there with our son and we totally enjoyed our evening. We have seen them three times last year and enjoyed every show. The Lettermen put such warmth into each performance which makes the audience feel special if only for an evening. The way they take the time to meet their audience after the show is very thoughtful. Most entertainers do not do this and if they do come out to meet and take pictures they seem rushed and impersonal. This can not be said of The Lettermen. They take the time to be very pleasant to their audience which means a lot. The pictures we were able to take let us bring home many memories of a wonderful evening! Also, the CD’s we purchased gives us the opportunity to listen to them at home and helps reminds us of our evening with The Lettermen. We hope they continue to perform for many years. We are hoping to see them again in the future. Went to the Lettermen concert at the Newberry Opera House this afternoon. What a great a show!! They sang the great old Christmas songs. If you get a chance go see them. My wife and I saw your show Thursday afternoon at Newberry SC. Great show. Donovan said how glad he was to be in SC with the great weather and warm temps. Between now and Monday the mountains of SC are going to get about 2 ft of snow and the upstate, Greenville, Spartenburg about 6 inches, with highs in the low 30s. You got out of here just in time. Can’t wait to see your show next year. Wonderful show at the Turning Stone Casino in Vernon NY on February 2nd. Great show, great showmen. Thanks for the memories. Looking forward to your next visit! 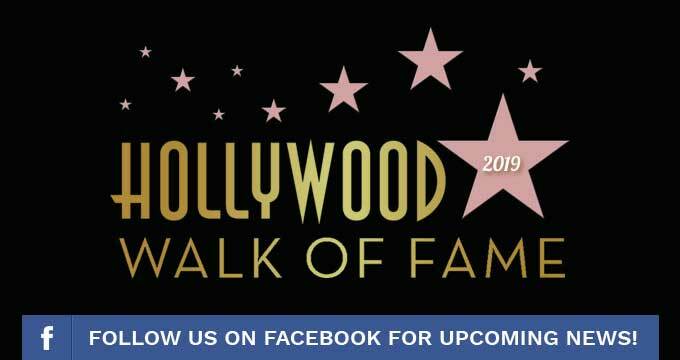 The Lettermen performed a fabulous show at the Annual Gala of the Hong Kong Association of Northern California on January 26, 2019 at the iconic Fairmont Hotel atop Nob Hill, San Francisco. Besides their usual love songs and Broadway tunes, they also included their Chinese song “Love is Gone” which has original English lyrics composed by Tony Butala. The 90 minute non stop show left many wanting more of their time less music. They just keep getting better. Loved taking pictures and talking after the show. Please come back next year! Y’all were awesome in Forsyth GA tonight. We sure did enjoy the Show. OOOH WOW, SUCH A FANTASTIC CONCERT!! THANK YOU “LETTERMEN” FOR SUCH AN AWESOME AND MEMORABLE EVENING, IT WAS BEYOND ENJOYABLE!! AS THE LETTERMEN SANG I HAD A FAST RUNNING MOVIE GOING THRU MY MIND OF WHERE I WAS AT THE TIME, WHY AND WHO I WAS WITH. IT BROUGHT BACK SO MANY MEMORIES!!!! YOU GUYS ARE AWESOME!! IT ABSOLUTELY WAS ONE OF OUR MOST MEMORABLE EVENINGS AND WE HAD SO MUCH FUN!!!! THANK YOU, AGAIN AND CAN’T WAIT UNTIL NEXT TIME!!!!!! We loved working with The Lettermen once again! They brought a fun, memory packed show to the Florida Strawberry Festival. Our patrons had a wonderful time! We look forward to working with them again in the future. You did something right to have the ‘staying power’ that you have enjoyed. I ‘grew-up’ with your melodious tones, and always enjoy the flood of memories that they bring back to me. 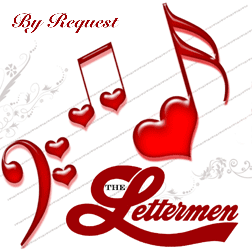 I will request your songs as I lay on my deathbed… Thank you for making your kind of music!…..
My husband and I saw your group “The Letterman” in 2017. It was one of the best performances either of us has seen in concert, and we have seen many great performers. The performance was so upbeat, fun and we loved every song that the wonderful Lettermen sang. The only problem was, we didn’t want the show to end! The songs brought back great memories of an era that we were so fortunate to have been in, and one we will never forget! 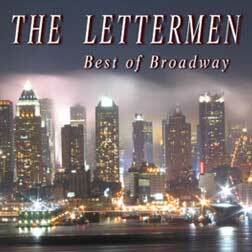 We love “The Letterman”, and hope to see your fantastic show again!